Foxes have been reported in British urban areas since at least the 1930s and there are accounts elsewhere in Europe dating back to the late 19th century. In many cases, towns and cities sprung up around foxes and they simply didn’t move, giving rise to the “urban fox”. In other cases, foxes may have dispersed into cities attracted by the potential for food or dispersed from surrounding rural areas as anti-rabies campaigns began bearing fruit in Europe. In Britain, there’s no evidence they were forced into towns looking for food by myxomatosis in the countryside. Contrary to popular misconception, and reported in a documentary on urban foxes a few years ago, the ‘phenomenon’ of the city fox is not particularly new – foxes have been present in some of Britain’s towns and cities for at least 80 years. In 2001, a team of biologists at the University of Zurich in Switzerland, led by Sandra Gloor, proposed two hypothetical explanations for the presence of foxes in built-up areas: the Population Pressure Hypothesis (PPH) and the Urban Island Hypothesis (UIH). Basically, Gloor and her colleagues suggested that urban foxes were either intruders forced out of adjacent rural areas by the high population density (the PPH), or they colonize human settlements because they have adapted to the conditions of the urban habitat (the UIH). In other words, the PPH states that urban environments are suboptimal habitats for foxes and foxes live there because they have to, not because they choose to, while the UIH predicts the opposite. In Britain, early theories on how foxes came to colonise cities revolved around the PPH; these urbanites were considered over-spill from the countryside. Some suggested that the outbreak of World War II in 1939 led to a decline in gamekeepers on country estates; in the absence of control, fox numbers increased beyond the capacity for the countryside to absorb and dispersing individuals started moving into towns looking for food and shelter. An alternative theory of the time implied that the Myxoma virus was responsible. 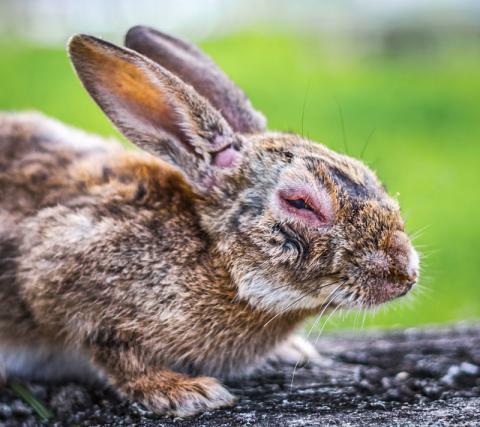 The Myxoma virus causes the fatal disease myxomatosis (Myxo from the Greek muxa, meaning “mucus”) in rabbits and was responsible for widespread mortality in rabbit populations following its discovery in Uraguay during 1896. The disease spread throughout Europe after being inadvertently released on a private estate in France during and June 1952 and illegally released into the wild rabbit population on an estate in West Sussex during the autumn of 1953. Two years later, in 1955, it was estimated that some 95% of Britain’s rabbits had been killed. There are minor variations in how this was said to have affected fox populations, but in general the theory went that the virus caused a superabundance of prey (dead and dying rabbits) that sparked a dramatic increase in fox numbers; once all the rabbits had gone, however, there was insufficient food to support such a large population and starving foxes started ‘invading’ towns looking for food. Despite having data suggesting that there was a rise in fox numbers shortly after the introduction of the Myxoma virus, however, all available evidence indicates that the foxes switched from rabbits to voles once the latter were gone. Nobody knows precisely when the first fox set foot in a town, but the problem with ascribing the incursion to either lack of control during the war or a lack of food following myxomatosis is that there are records of urban foxes pre-dating both these events. There are reports of the occasional fox on Hampstead Heath dating back to 1912, although they weren’t seen with any regularity in the city until the 1930s. Indeed, writing in his 1937 A History of Richmond Park, Cyril Collenette told of how he often encountered foxes in Richmond Park in the 1930s and noted that 116 had been shot there during “the past six years”. So, if foxes weren’t driven into towns and cities in search of food, how else might they have made the transition? In some cases it may not have been the foxes that made the first move; we may have come to the foxes rather than the other way around. Invariably the progressive urbanization of countryside cannot explain every population of urban foxes and there were almost certainly cases where populations arose following the incursion of rural animals into towns and cities. 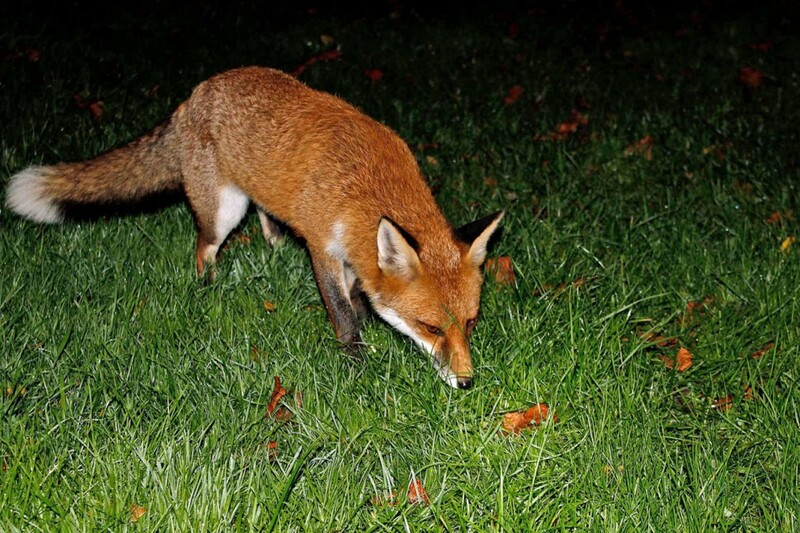 Indeed, the radio-tracking of foxes since the mid-1970s has demonstrated that animals living on the edge of human settlements may move into the towns or cities to forage at night, although it does appear some individuals are more willing than others to walk our streets. In their contribution to the second European Ecological Symposium published in 1982, David Macdonald and Malcolm Newdick point out that, while foxes radio-tracked in Oxford moved in and out of town, those in the north of England conspicuously avoided towns; the authors also made the point that in continental Europe rabies epizootics move around, rather than through, human settlements, suggesting the dynamics in Europe are different to Britain. Considering the Bristol analysis, it seems likely that the behaviour of the northern foxes may reflect less desirable housing, i.e. more council-owned properties situated closer to industry. At any rate, there can be little doubt some urban colonizers were rural foxes that either gradually spent more time on the urban peripheries or were raised in rural areas and dispersed into nearby suburbs. 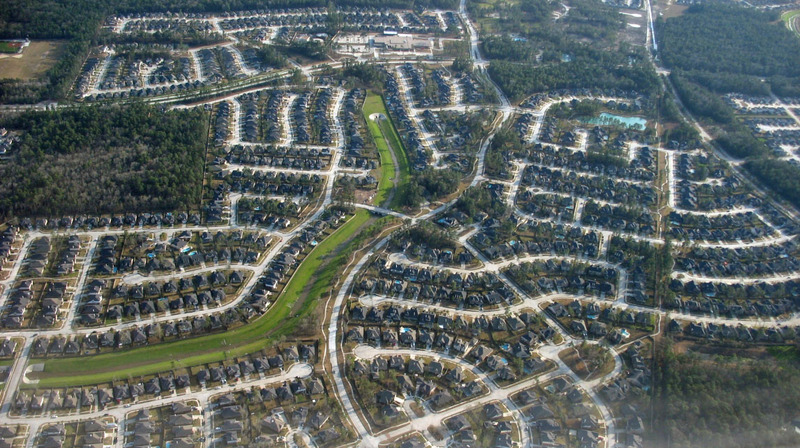 Once established at the periphery, the population can begin spreading into suitable urban areas. Not only do urban foxes tend not to move very far, presumably because they don’t have to, there are some tracking data to suggest those born in urban areas may prefer towns to rural landscapes. 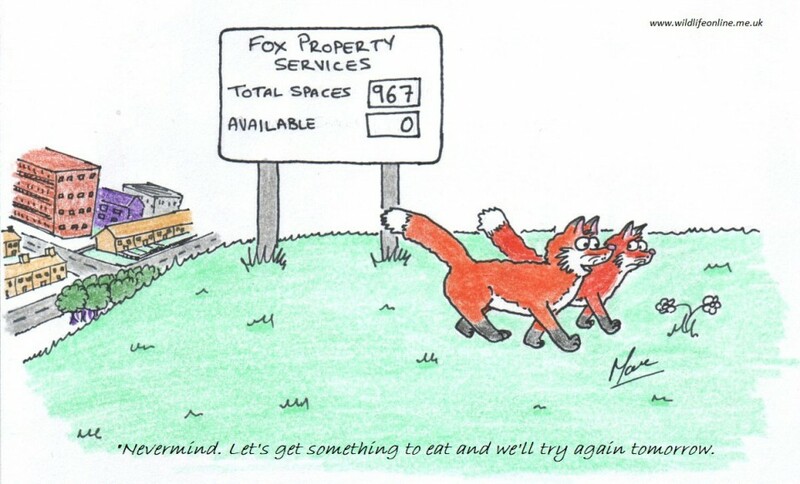 Indeed, Harris elaborated on the scenario in his 1986 book Urban Foxes in which he described how foxes colonize cities in two stages: they established themselves on the fringes first, before spreading into the city centres. So, there is no evidence that foxes were forced into our cities from the countryside looking for food. Instead, they have either chosen the cityscape, or it is us who have forced our cities into their countryside. Now they are here there is little likelihood that they will leave; why would they? Foxes are supremely adaptable mammals and many urban and suburban habitats provide ideal conditions for them. 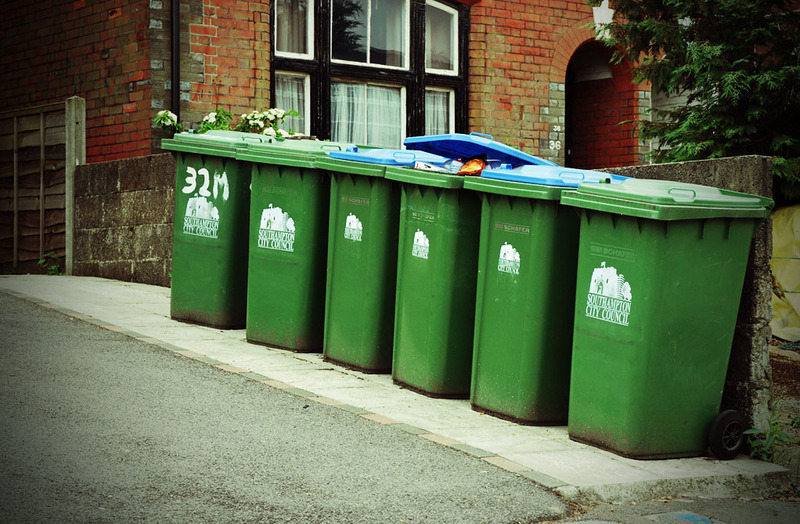 Humans, as a species, are wasteful – the British government estimate that 7.3 tonnes of edible food is discarded every year, equating to roughly £12 billion, or £700 per family per year. That doesn’t account for the fast food dropped on streets every Friday and Saturday night, either. Foxes are perfectly placed to capitalise on this discarded food. In addition, food is deliberately put out for them in many back gardens, in some cases to excess. One survey in Bristol estimated that about 10% of the population regularly put food out for foxes, with one area providing about 150-times more food than was needed to support the number of foxes known to be living in the area. I have heard it said that regular exposure to “off meat” lead to foxes developing a more sophisticated immune system that has helped them thrive in urban areas, although I know of no science in support of this. As we have seen, however, urban areas are not suboptimal environments for foxes and there’s no reason to believe that foxes would only hunt, live and breed in them if the surrounding countryside was essentially ‘full’. Indeed, as with Britain, foxes were probably visitors to human settlements in Europe well before anti-rabies campaigns began bearing fruit. Indeed, in a paper to Landscape and Urban Planning in 2014, a team of researchers led by Timo Vuorisalo at the same university used accounts in early literature to provide a historical perspective of urban foxes in Finland. Vuorisalo and his team found various records and newspaper reports suggesting that foxes were present in and around the city of Turku in south-west Finland since the 18th century. One account described a hunter killing 56 foxes in a hilly area on the outskirts of Turku in the 1740s, while reports of urban foxes in local newspapers dated back to at least 1890. Newspaper reports included accounts of apparently bold individuals; one that sat and watching people walk past near Valkeakoskitaking in the winter of 1890, and another that took chickens from a garden in broad daylight in 1898. There was even a report from May 1899 of a fox that made its earth in the loft of an elementary school building in Mikkeli, in south-east Finland. My experience suggests there is often a perception that urban foxes are “mangy” animals, too sick/weak/poor quality to survive in the countryside. This then reinforces the belief that towns and cities are a “last resort” for foxes. In fact, from the data I have seen, my observation and observations of others, there are also a great many very healthy urban foxes. Even on the same site in Southampton I have watched scrawny animals with probable mange infection and stunning examples of the species. Similarly, a friend in West Sussex recently installed a trailcam in her garden after seeing foxes in and around the alley behind her house. From the footage, she has as many as seven foxes visiting; one very skittish individual with a moderate mange infection and several other more confident animals with pristine coats. I suspect that the warmth and abundance of food and shelter provided by our towns and cities offers a lifeline to low quality individuals that wouldn’t survive in more rural settings, but is equally attractive to fully-fit animals looking for a place to settle down. Consequently, the urban fox phenomenon has probably arisen in response to both of Gloor’s hypotheses. 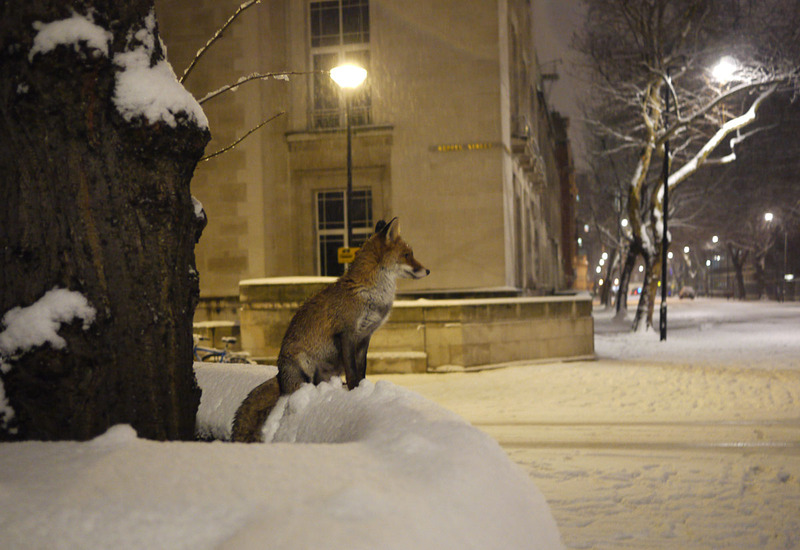 Some individual foxes are forced into urban areas to eke out a living trying to avoid the attentions of other foxes (PPH), while many others actively choose the urban environment as a resource-rich and relatively safer territory (UIH). Foxes aren’t stupid animals.